A former emergency physician, emergency medical center CEO, White House health care advisor, and Chief Medical Officer, Dr. Reynolds developed the highly acclaimed Chief of Staff Boot Camp® in 2003, and has trained over 3,000 physician leaders and healthcare executives through these programs. In 1993, Dr. Reynolds was appointed to the White House Health Professionals Review Group, serving as one of its few practicing physician members. 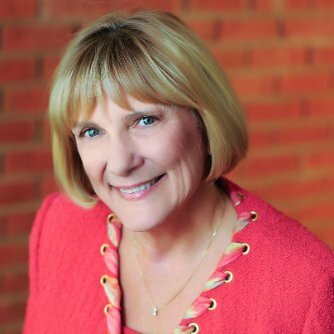 She founded and led the Physician Executive Practices at both Heidrick & Struggles and Russell Reynolds Associates, two leading international executive search firms. She also founded the Malibu Emergency Room, served as the facility’s CEO and chief physician for twelve years, and organized a tax-exempt charity that produced celebrity events to support emergency medical care. In the past, Dr. Reynolds has served as national Chair of Health Policy for the American College of Emergency Physicians, and President of the American Association of Women Emergency Physicians. Dr. Reynolds is the recipient of numerous honors and recognitions including Woman of the Year, California’s 44th Assembly District. Dr. Reynolds received her A.B. with top honors from Vassar College, then obtained a Ph.D. in Biological Chemistry and an M.D. degree from UCLA. She completed a residency in Internal Medicine and a fellowship in Cardiology, Critical Care Medicine, and Administrative Medicine at UCLA. She is a Diplomate of the American Board of Internal Medicine. Dr. Reynolds lectures on change management and emerging leadership roles, quality improvement tools, conflict resolution, and hospital and medical staff alignment, among other things. Dr. Reynolds developed the highly acclaimed Chief of Staff Boot Camp® in 2003, and has trained over 3,000 physician leaders and healthcare executives through our programs. 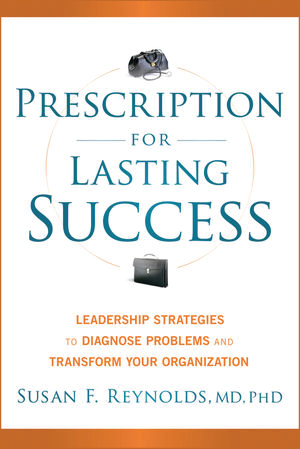 Susan Reynolds authored “Prescription for Lasting Success: Leadership Strategies to Diagnose Problems and Transform Your Organization,” published by John Wiley & Sons. Dr. Reynolds has a column with the Chicago Medical Society magazine. She explores timely issues around physician leadership development.